The resurrected school calendar bills, ending the post-Labor day opening requirement, met a similar fate in the Senate Education and Health Committee, only the votes were recorded. Greason’s HB1550 and Robinson’s HB1538 both failed to report on a 5-9 votes. Later Stolle’s HB1585 met a similar fate on a 8-6 vote to pass by indefinitely. The Stolle bill was much more narrow, allowing calendar flexibility only for low-performing schools. 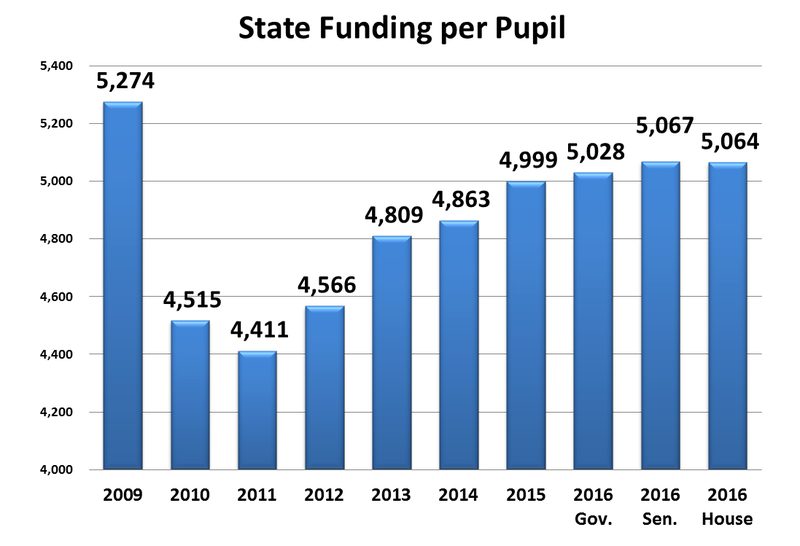 When debating the Stolle bill, Senator Howell lamented that, “We do a lot of hand-wringing about under-performing schools, but we do very little to help them.” Truer words were never spoken. For those of you who have been following the fate of these bills, you know they were killed, revived, and know they have been killed again. I'm thinking that if something can be refried, something can be redied. The “Tebo Bill,” Rob Bell’s HB1636, a bill to allow home-schooled students to participate in interscholastic programs, reported on an 8-6 vote. Elections have consequences.